The Temple of the Inscriptions is the largest stepped pyramid inside the renowned Mayan complex of Palenque (located in modern-day Chiapas, Mexico). 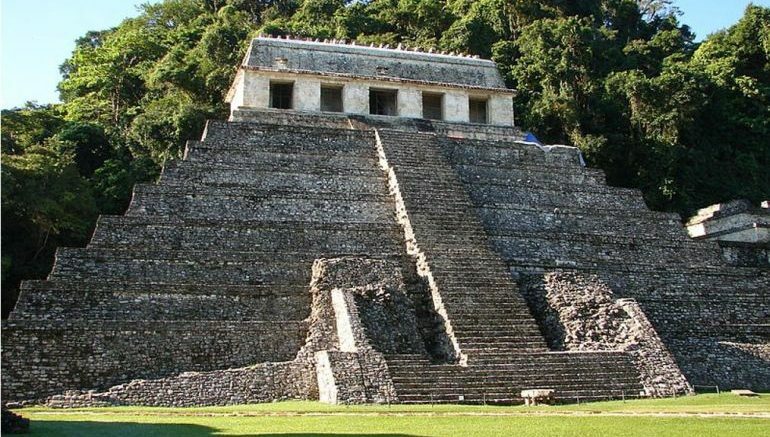 The structure was commissioned in the late 7th century as a funerary monument for K’inich Janaab’ Pakal, the ajaw (ruler) of Palenque for around 70 years. And now, beyond just its size, the stepped pyramid has unveiled secrets that pertain to some underground water channels constructed beneath the humongous structure. According to the archaeologists (from Mexico’s National Institute of Anthropology and History), there are around nine of these channels, about 56 ft in length, and they were probably bored to create symbolic paths to guide Pakal in his afterlife. [A God] will guide the dead toward the underworld, by submerging (them) into the water so they will be received there. 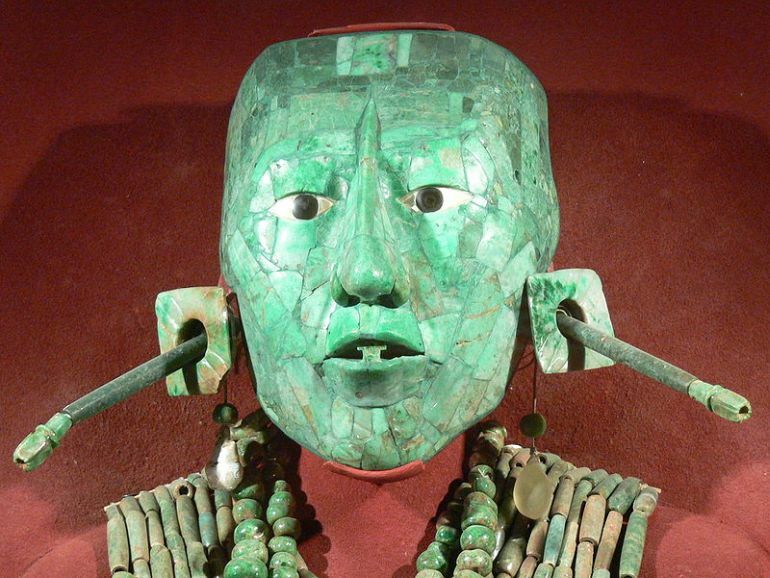 This discovery certainly brings up the question – so is Pakal’s tomb connected to the underground network in any form? Well till now, the researchers have not detected a direct physical link, since the water tunnels are only 2 ft-wide (and of same height), which makes it difficult for manual exploration. As a solution, the archaeologists did make use of small wheeled robotic vehicles that traversed the limestone floors of the canals. To their surprise, they found that the underground system boasted of an intricate network with variant levels that maintained the flow of water in numerous directions. We believe the spring was the starting point from which the temple was built and whose purpose was to associate the ruler with these bodies of water. We should also consider that the people of ancient Palenque might design such a hydraulic system to metaphorically recreate the waterway that would lead K’nich Janaab’ Pakal to waters of the underworld. 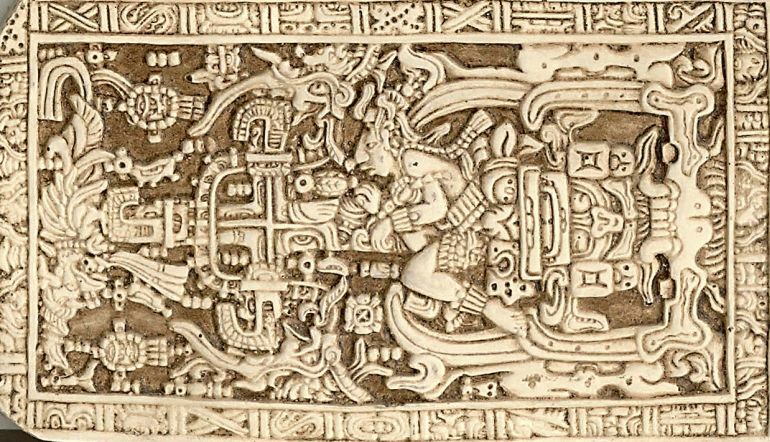 Now from the popular perspective, Palenque (and for that matter Pakal) was made famous to some degree by author Erich von Daniken, who conjectured in his book “Chariots of the Gods?” that Pakal’s posture in the engraving on the stone sarcophagus lid (pictured below) resembled the position of astronauts surrounded by advanced paraphernalia. Now while this wild inference has been debunked, the Temple of the Inscriptions has still held on to its fair share of secrets. One among them relates to how Pakal’s tomb might lead to inconspicuous underground rooms. In any case, the researchers are looking forth to further investigate the scope of these underground channels and pinpoint their physical origins within the grandiosely conceived ambit of the Mayan monument.